At a Tuesday morning news conference, truck drivers said long hours on the road are the cause of these fatal crashes. These Savannah area truckers are calling for the Federal Motor Carrier Safety Administration to enforce hours of service and fatigue regulations that require trucking companies to limit the number of hours they can require drivers to work. 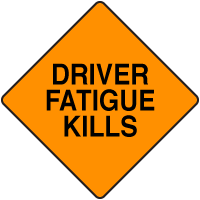 Consistent with what other truck drivers have either admitted under cross examination or confided to me of coffee at truck stops many times over the years, driver Carol Cauley said trucking companies often pressure them to work when they are too fatigued to drive safely. That, combined with low wages, keeps them from being able to afford food or rest breaks. “I actually have friends I know that have told me that they’ve fallen asleep on the road, and I’m like please slow down and they’re like well, I have to take care of my family.” She said that after truck maintenance costs and fuel, truck drivers often make below minimum wage. A related rule on hours of service requires: (1) a trucker can drive only 11 hours within a 14 hour period before going off duty for 10 hours; (2) 34 hour restart must include two 1am to 5am periods and can only be used once in 7 days, and (3) 30 minute break period after 8 hours. The primary focus of these rules is safety of travelers on the roads, as illustrated by the rash of multiple fatality crashes on south Georgia. But there is also a bad effect truck drivers’ health. The average life expectancy of a truck driver is 61, or 16 years less than the U.S. average, according to Centers for Disease Control data. Trucking is the eighth-most dangerous job in terms of deaths per worker, according to the Bureau of Labor Statistics. We are currently involved in several truck crash wrongful death cases representing survivors of four people killed when rear-ended by tired or distracted drivers of intermodal freight tractor trailers on interstate highways on the Georgia coast. That includes two killed on I-95 at Brunswick in December 2013, plus two killed on I-16 near Savannah last month. Ken Shigley is past president of the State Bar of Georgia, a certified civil trial attorney of the National Board of Trial Advocacy, lead author of Georgia Law of Torts: Trial Preparation and Practice (Thomson Reuters West, 2010-15), past board member of the Trucking Litigation Group and in July 2015 will become chair of the American Association for Justice Motor Vehicle Collision, Highway & Premises Liability Section of the .